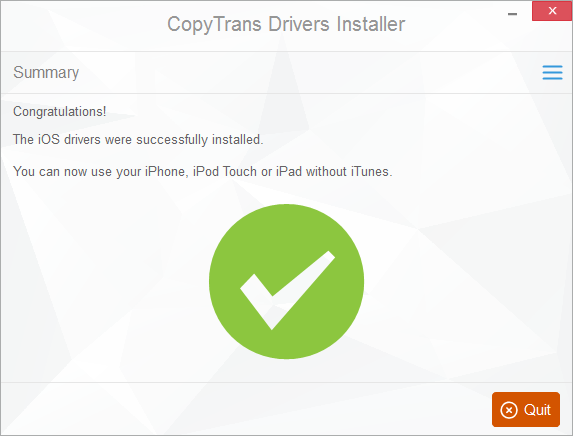 This article explains how to install the drivers that are required for iPhone, iPod Touch and iPad without installing iTunes. Missing drivers are the most common reason of your iPhone not being recognized by your PC. Extract the program from the zip. 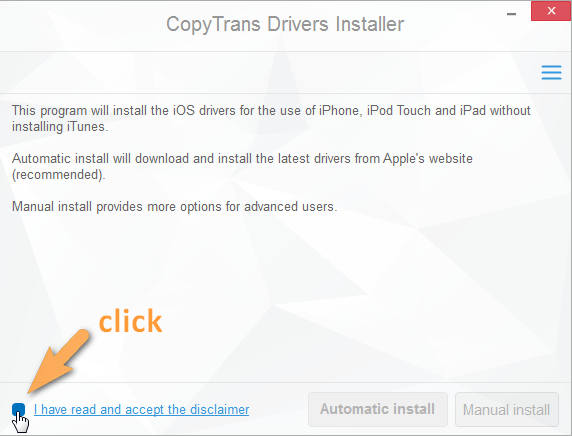 Run CopyTrans Drivers Installer. Read and accept the disclaimer. Start the installation by clicking “Automatic install”. 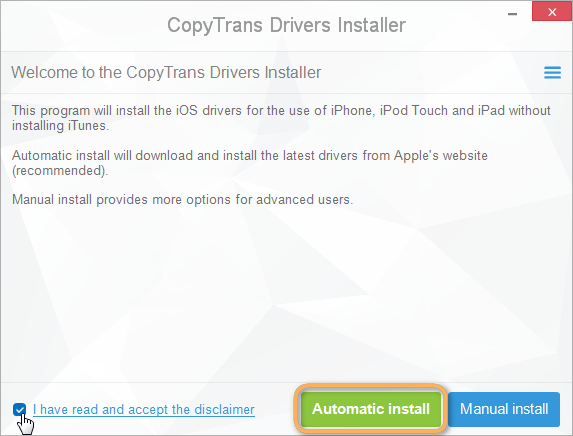 CopyTrans Drivers Installer requires Internet connection to download the drivers. Make sure you let the program through your firewall. If your Internet connection uses a proxy, you can configure proxy settings in CopyTrans Drivers Installer manually. TIP: If you want to control the installation process, choose “Manual Install” instead. The installation of the drivers is now complete. You can now use the CopyTrans products.